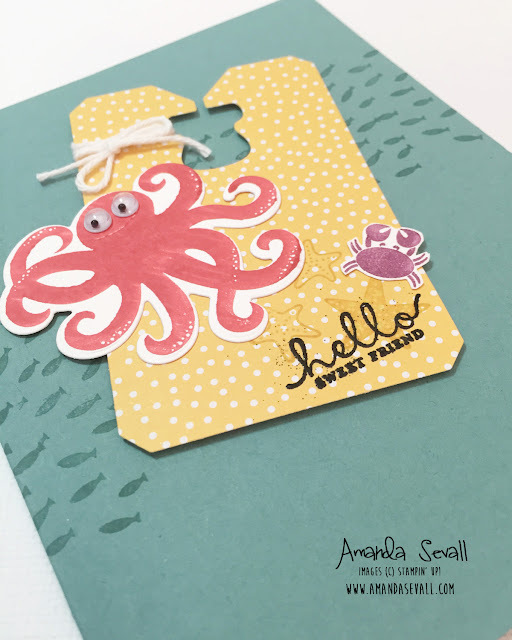 Amanda Sevall Designs: 365 Cards: Hello Sweet Sea Friends! Just a fun, quick little card that will hopefully put a smile on the recipient's face! He is ADORBS Amanda! I love the googly eye too. He's just perfect! 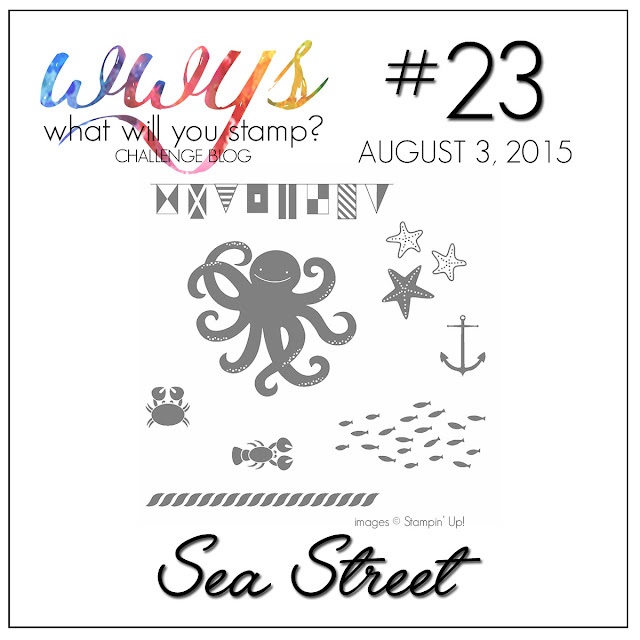 I think nautical is your signature style! Great card. I love the little fish swimming by.